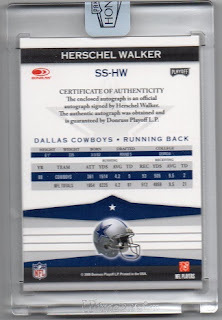 I just picked up a 2016 Panini Honors Recollection Collection autographed card of Herschel Walker. Panini appears to be a hot item in trading cards the last couple of years. Their National Treasures set, Immaculate Collection, and Honors set, are popular, among others. 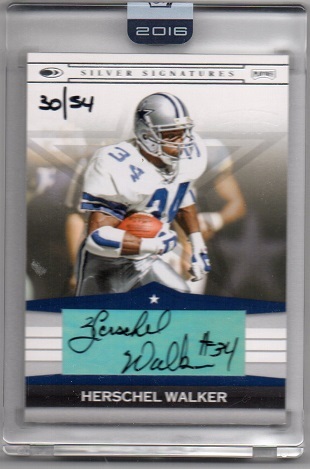 This autographed card is from the Honors set. It's the same design from the 2008 Donruss Playoff Silver Signatures set, which I also need in my collection. Welcome card #574 as I strive for 600 different Walker cards.